If you’re looking for a eye-catching new vehicle that has the best-in-class coverage, complimentary scheduled maintenance, and features like Jaguar InControlⓇ Romote & Protect™, and intelligent performance technology like the Stop/Start interior controls, look no further than the new Jaguar XE sport sedan. For more information please look at our Auto iPacket... it really has so much information on the exact equipment on the one you're looking at. Call or email us for any further questions about an unit.. Just give us the stock number when you call 🙂 610.436.0600.Santorini Black 2018 Jaguar XE SBluetooth / Handsfree Calling.AWD 8-Speed Automatic 3.0L V6 24V SuperchargedFor more information please look at our Auto iPacket... it really has so much information or exactly the equipment on every car. Call or email us for any further questions about an unit.. Just give us the stock number when you call. 610.436.0600. Visit us at Jaguar West Chester for the New Jaguar XE! 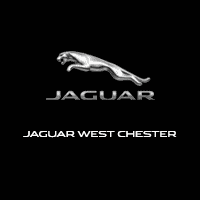 Come and test drive the XE, or other Jaguar models, with us at Jaguar West Chester near ! We want to help get you into the vehicle that works best for your driving needs that’s also within your budget. Check out our lease deals for a better idea of the cost vs. buying, or compare the Jaguar XE vs. Audi A4 to see how the competition measures up.